Nepal has been hit by a second major earthquake, less than two weeks after a deadly 7.8 magnitude quake devastated the country, killing over 8,000 people. With Monsoon approaching , it is critical we reach those affected as soon as possible. The latest quake, which hit early Tuesday morning, has triggered more landslides, further isolating rural communities desperately in need of emergency aid. The coming monsoon is now effectively a ticking time-bomb, as the job of getting aid to remote communities by road will be near impossible. The UN Office for the Coordination of Humanitarian Affairs (OCHA) in Asia estimates that as many as 315,000 people already live in communities inaccessible by road, and with coming rains this figure is likely to rise. The epicentre of Tuesdays 7.3 magnitude quake was about 76km east of Kathmandu in a rural area close to the Chinese border. It was felt as far away as Tibet, Bangladesh and northern India. The initial quake was followed by several aftershocks including a 6.3 magnitude in Ramechhap District, where ChildFund works. Strong aftershocks continue to be felt. Landslides were reported in Langtang Region in the Himalayas. Many areas around the epicentre are particularly susceptible to landslides. As of 16:00 local time yesterday, there were reports so far of 24 people dead and another 543 injured. 5 people were reported rescued in Charikot. Reports of people buried under rubble are also coming in from across the country, including from Tatopani. 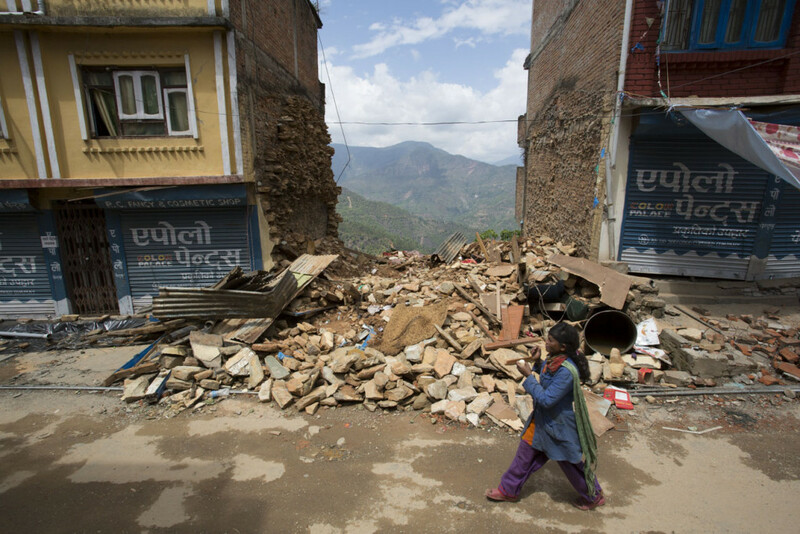 Some buildings damaged by the 25 April quake collapsed today in Gorkha District and Chautara (Sindhupalchowk District). New damage to housing and infrastructure is also being reported across the districts. The earthquake caused panic and many people fled to and remain in open spaces. The existing camps in Chautara remain open and are accommodating additional people. People in other areas are also expected to remain in the open air areas. The Nepalese Army is requesting additional shelter as it expects people to stay in the open overnight. National search and rescue (SAR) teams have been deployed. The Government of Nepal advised it has dispatched military helicopters to assess damage and possibly provide emergency health assistance. The Government has also asked the hospitals in affected areas, including Kathmandu, to remain on stand-by to treat the injured. Phone lines and traffic in Kathmandu are congested The Kathmandu Airport is now closed. 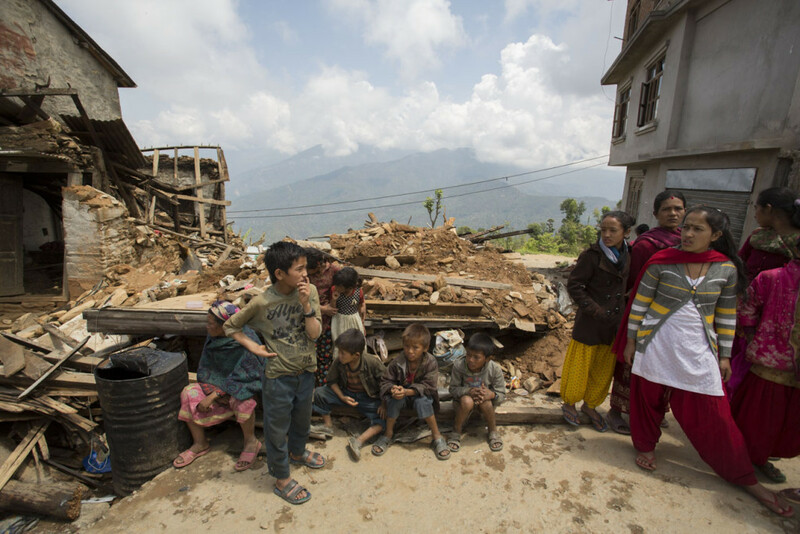 ChildFund is providing emergency relief in Sindhupalchok, one of Nepal’s worst-hit districts, where homes and buildings that were left partially standing after the 25 April quake have now completely collapsed. 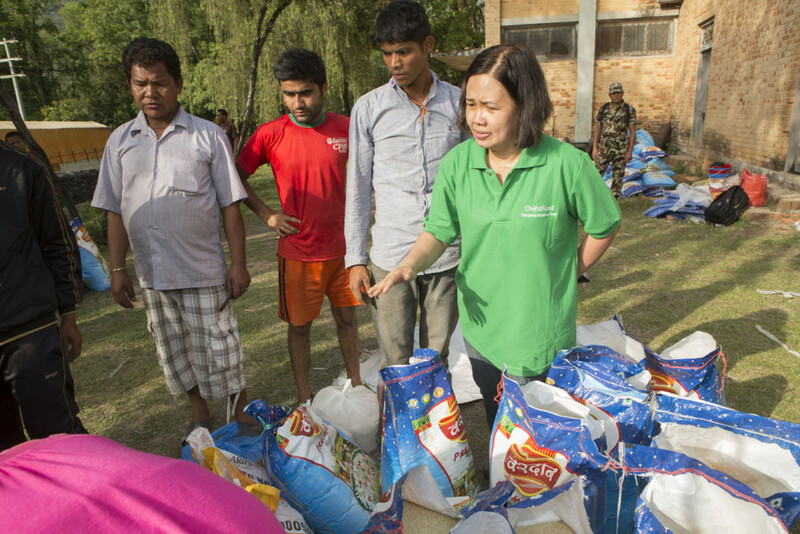 ChildFund was the first organisation to distribute urgently needed food supplies to more than 3,000 families in isolated villages in Sindhupalchok. Our emergency response team is now rapidly assessing the impact of the damage following yesterday’s quake, and will continue to help children and families affected. The coming monsoon rains have made a dire situation even more critical. People are in desperate need, especially in remote rural communities, and time is running out. Please continue to donate whatever you can to help the people of Nepal who have had to endure two major earthquakes in less than two weeks and are now facing heavy rains. With so many people living in the open, it is vital that we get to these people and provide food, water and shelter.